PROVIDENCE, R.I. (AP) – A Democratic gubernatorial hopeful in Rhode Island says Ayanna Pressley’s upset primary victory over a longtime Democratic congressman bodes well for his campaign. Matt Brown, a former Rhode Island secretary of state, is challenging Democrat Gina Raimondo, the incumbent governor who has an enormous fundraising advantage. Brown said Wednesday that Pressley’s victory is energizing for the grassroots movement in Rhode Island because he’s trying to change the system, like Pressley. 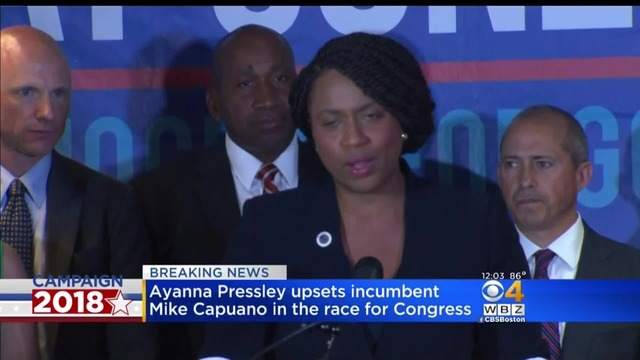 Pressley, a Boston city councilor, is virtually assured of becoming the first black woman to serve Massachusetts in Congress after unseating U.S. Rep. Michael Capuano Tuesday. Brown says her win signals a shift underway in the Democratic Party. He says the party needs to get back to its core values of working for working people, not corporations and Wall Street.